Lotus Bloom Yoga is Prescott’s Leading Yoga Center. Where the vitality of health & wellness are instilled through the practice & study of Hatha Yoga. You will always feel welcomed in our safe & inspiring environment, receiving clear & empowering guidance by the finest yoga instructors in Northern AZ. Enrich your life by joining our uplifting yoga community with daily classes & much much more. Address: 777 W. Hillside Ave.
Lotus Bloom Yoga Studio is owned and directed by Cheryl Walters of Prescott AZ. 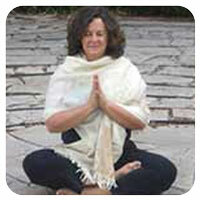 Lotus Bloom Yoga Studio is owned and directed by Cheryl Walters of Prescott AZ. For over a decade it has been my vision and mission to create a beautiful home and space for yoga and our community. This deep desire has finally manifested into an actual, physical yoga studio at 777 Hillside. The studio’s intention is to create a warm, safe and loving environment for many of the yoga community needs. Lotus Bloom Yoga offers classes taught by a group of highly trained, practiced and dedicated instructors. Our instruction combines elements of several yoga traditions, including Anusara, Ashtanga, Yin Yoga, Iyenger, Vinyasa Flow and Restorative yoga. At the heart of our offerings lies an understanding and respect of the traditions of yoga and how the practices relate to our everyday life. All the instructors at the studio bring their individual style and love of yoga, both inspiring and challenging students on and off their mats. Lotus Bloom Yoga has built a solid reputation in Prescott for its business integrity and always aligning with the Yogic philosophies that are uplifting and shines the light on the yoga practice of “Reverence, love, compassion for all.” Also for the past 10 years Cheryl Walters and several of her teachers have trained and mentored over 100 yoga teachers through our 5 star Yoga Studies & Teacher Training programs. Community building is one of the many things that sets Cheryl Walters and the Lotus Bloom Yoga team of teachers apart from other studios is the service work and charity fund raisers that are woven into the tapestry of the business model and the model of running a yoga studio. Treatment of the whole person is also what sets our studio apart from other local offerings. We have a group of skilled and seasoned Yoga therapist as a part of our team which allows us to offer yoga for ANYBODY, examples: We offer special series for Chronic Pain, Lifeforce Yoga for mental illness (anxiety, depression), Yoga for Veterans, Yoga for Cardiac Disease, and 12 step Recovery Yoga. We are proud to share that our Therapeutic Services continue to grow to meet the needs of the Prescott and Quad- City area.